Consultant, Adjunct Professor at USC, Author of Creating Blockbusters! And the Moviegoers Best Blockbuster Award Goes to... Interstellar ! Film insiders of the Academy of Motion Picture Arts and Sciences may have given Best Picture honors to Birdman, but moviegoers in the new Moviegoers Best Blockbuster Film Awards gave top honors to Interstellar! Moviegoers hailed Interstellar as the overall Best Blockbuster when taking into account the overall artistic quality of its story, characters/acting, and overall production and visual effects combined. Interstellar also won in the separate Best Blockbuster Story category and the Best Blockbuster Production and Visual Effects category. Congratulations to all those who contributed, particularly producer, director and writer Christopher Nolan. Guardians of the Galaxy edged out the blockbuster competition in the separate category of Best Blockbuster Characters/Acting. Congratulations to writers James Gunn and Nicole Perlman who created such rich characters, and to the talented cast of actors who brought these rich characters to life, led by Chris Pratt. The competition was stiff and included the top 10 blockbusters as measured by worldwide box office as of December 31st, 2014. Each of the competitors had achieved at least $628 million worldwide by that date and included Interstellar, Dawn of the Planet of the Apes, Guardians of the Galaxy, The Hunger Games: Mockingjay - Part 1, Maleficent, X-Men: Days of Future Past, The Hobbit: The Battle of the Five Armies, Captain America: The Winter Soldier, The Amazing Spider-Man 2, and Transformers: Age of Extinction. Why did I create this award? Neither the Academy of Motion Picture Arts and Sciences nor the Golden Globes have a best blockbuster category and both allow only filmmaking insiders to vote. The Hollywood Film Awards recently added a blockbuster category (perhaps they read my recommendation in The Huffington Post a year ago) but the voters are industry people. And while the general public votes for the People's Choice Awards, its top award is titled "favorite movie" which can be far different than voting on the quality of a film's artistry. As history often shows, most award shows are notorious for overlooking the top blockbuster films for top honors while often relegating them to the visual effects category. None of the top 10 grossing films worldwide were even nominated for a Best Picture Oscar this year, and while American Sniper exceeded $400 million worldwide, it wasn't a true blockbuster until after it was nominated. This year's top Oscar winner, Birdman, achieved only a little over $73 million worldwide, suggesting that while it enticed insiders at the Academy, its story about a faded Hollywood actor and his attempt to resurrect his career was too narrow a subject for most moviegoers. This is reminiscent of the 2012 award given to The Artist, a film about a silent movie star threatened by the arrival of talking pictures. While both of these are wonderful films, it could be that Hollywood loves to give awards to movies about Hollywood. Compare Birdman's $73 million to the $1.1 billion worldwide box office taken in by Transformers: Age of Extinction or to Interstellar's $672 million. It's clear that what insiders consider to be artistic is far different than what moviegoers consider to be artistic. This does not mean that moviegoers immediately equate commercial success with artistic success. They don't. Though Transformers achieved the highest box office success, moviegoers still gave top artistic honors in this new survey to Interstellar. This demonstrates that moviegoers can distinguish between box office success and artistry. The sample for this Moviegoers Best Blockbuster Award was comprised of a couple hundred moviegoers represented by a nearly equal number of men and women. About 40 percent were age 34 or younger, most claim to visit a movie theater once a month or more, and most watch at least 20 movies a year when taking into account all platforms. While this survey was not random enough to be considered scientific, the same can be said of every award's show survey. 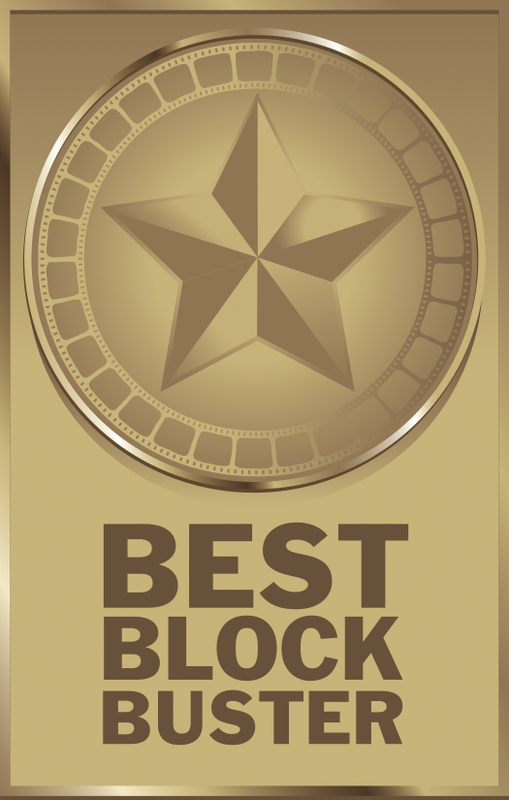 Thanks goes to all those respondents who participated, to The Huffington Post for including the survey on their website, and to the top 10 blockbusters of 2014. Without the money that blockbusters infuse into the film industry, it would not be nearly as healthy, there would be far fewer funds to support smaller independent films, and many other industries would suffer including television, toys, video games, music, publishing, and even apparel. My hope is that other award shows will take this into account during future award seasons by giving blockbusters and moviegoers the recognition they truly deserve.